The size of the Western Wall (known as the Kotel) and the method of its construction have engaged Jerusalem researchers from as far back as the 19th century. 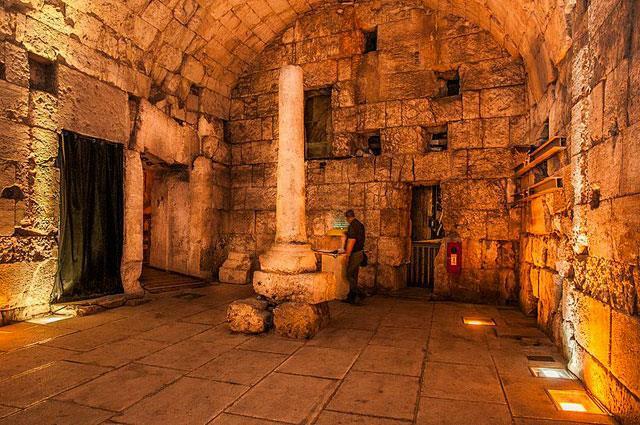 The Western Wall Tunnel excavation project, conducted with great thoroughness under careful Halachic (Jewish Law) and scientific supervision, has revealed to the public Jerusalem during its glory days, 2,000 years ago. During the excavations, new details were uncovered, some of them previously unknown, about the history and geography of the Temple Mount compound through the generations. Previously unknown facts about construction methods, hidden sites, and important archeological findings were uncovered. Little by little, a great bridge from the Second Temple period was uncovered, along with ritual baths that served Jerusalem residents and pilgrims, a street that, based on coins and earthenware found on the site, was estimated to date from the Second Temple period, and of course the Western Wall along practically its entire length. The excavations also revealed immense stone courses of the Wall – carefully carved and incredibly well preserved, ancient water pits and an ancient water tunnel from the Hasmonean period that was blocked by King Herod when he expanded the site of the Temple Mount, along with impressive Muslim construction projects from the Middle Ages, that to a great extent preserved the Wall through the years. All these finds have made the Western Wall Tunnels a phenomenal historic and archeological treasure and still, there is so much more that is hidden than has already been uncovered at the foot of the Temple Mount, so the excavation work in the Tunnels continues. The Western Wall Tunnels are a sort of ‘time tunnel’ to ancient Jerusalem and every visitor is swept back directly to Jerusalem’s glory days as they were during the 1st century CE. However, the visit is not only a trip through time, but also a powerful lesson in Jewish history, and the archeology and topography of the city.